Tonight Zack went with some of his guy friends to a concert in Richmond. He had to pick up his cousin to go, so after the concert they are driving back here and his cousin is just going to spend the night. We had zero breakfast food in the house except for sparse bits of cereal. I didn’t want them to starve in the morning, so I decided to make some muffins. I wanted to attempt to make some that were still delicious, but had a hint of healthiness to them. I definitely succeeded. I get so excited when I make my own recipe and this is no exception. I sent pictures of them to both my parents and to Zack and ate a whole muffin myself. I usually just sample whatever baked goods that I make, but I was so proud of what I had concocted that I ate it all! This was my first time baking with Splenda and I have to say, I am very pleased with the result. I’ve heard mixed reviews about baking with Splenda, but my muffins turned out perfectly and were just as sweet as if I had used regular sugar. Heck yeah! It was also the first time I’ve tried substituting almond milk for regular milk and I couldn’t taste a difference with that either. I used unsweetened vanilla almond milk, just in case you were curious. Less than half the calories of skim milk! I do believe we should all start educating ourselves when it comes to health. You can start by checking out Guide to Healthcare Schools or by using almond milk! The only thing that went wrong was I should have baked them for a minute or two less time, but they didn’t taste over-baked, they just had browned tops. Heat oven to 400 degrees. Line or grease 6 jumbo muffin cups. In medium bowl, combine flours, 1/2 c splenda, baking powder, salt, and chips. Stir in egg, milk and oil just until dry ingredients are moistened (batter will be lumpy.). Spoon batter into muffin cups, filling 2/3 full. Sprinkle the remaining splenda evenly over muffins. Bake 20-23 minutes. Loosen and remove immediately from pan. Let cool on a wire rack. I’ve only cooked with splenda once and I didn’t enjoy it. The flavor stuck out too much for me. But maybe I need to give it another shot. Congrats on awesome looking muffins! You can read about it here.. the link isn’t a spam or a scam, just a link to an article about some research that was done into Splenda. I’ve sent it to my in-laws as they cover everything in Splenda believing it to be a healthy alternative. Thank you for your feedback, but what I used is actually a Splenda knockoff. I should have clarified. I know the affects of aspartame on the body and do not consume it. The kind of artificial sweetener that I used does not contain aspartame or other harmful additives. It is a store brand, so I just used the term Splenda, because that is a term that everyone can understand. 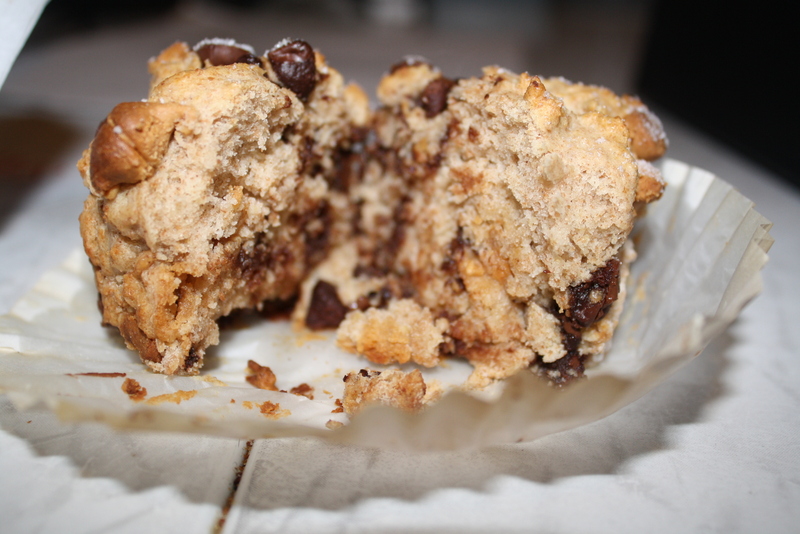 I love the idea of making my favorite flavor combo into a healthier muffin! 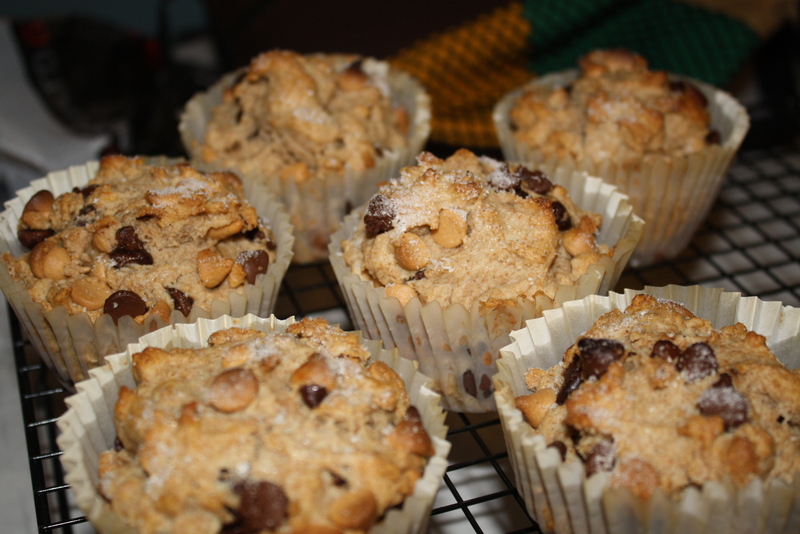 I’m glad the muffins turned out good even with the Splenda, I would love these! Great muffins! I have mixed feelings about Splenda, but I don’t mind it in small amounts. These are gorgeous muffins! What a great recipe, and you made it yourself? You go girl! I want one right now. Zack is one lucky man! Great recipe. It is always a good thing when a recipe that you switch up turns out well the first time around. I don’t know how you ever just only sample your bake goods. I gobble them up. Oh I love that these are a healthy version! They sound so delicious! I love that these are are healthy! My favorite flavor combo too 🙂 I loveee chocolate and peanut butter! Perfect breakfast, I need to try these! I think I might try substituting whole wheat white flour too, I’ll let you know how it goes!